If you were arrested for a DUI in Marin County, CA, you will need an experienced criminal defense attorney to inform you of and protect your rights. With a combination of thorough trial preparation for every case, dedication to our clients and their needs, and our collective legal knowledgebase, the Law Offices of Robert Tayac has been successfully defending DUI and DUID clients from in the Bay Area since 1994. When you were pulled over, involved in an accident, or stopped at a DUI checkpoint, you were likely given the standardized field sobriety tests. The Marin County Sheriff Deputy also may have asked you to submit to voluntary chemical testing (breath, blood, or urine). The breath test is known as a Preliminary Alcohol Screening (PAS), commonly referred to as the Breathalyzer. Breathing into the PAS gives an indication of your blood-alcohol concentration (BAC). If you opted for a blood test, a third party will be called to the scene to take the sample, or blood may be taken at a hospital or police station. It is important to remember that your penalties will be increased if you refuse either breath or blood testing. If the PAS determines that your BAC is above the legal limit of .08% or higher, and you hold a California driver’s license, it will be seized by the arresting officer and you will be issued an ALS (Administrative License Suspension) and a 30-day temporary license. Consequences do not end there. Depending on the number of times you have been charged with and/or convicted of a DUI or DUID, you may face a longer license suspension, fines, mandatory classes, community service, and jail time. Although this information may be overwhelming, the Law Office of Robert Tayac is ready to prepare an aggressive defense for your Marin County DUI case. Robert Tayac attributes his success in Marin County to his dedication to continuous education and training as a criminal defense lawyer. A member of the California State Bar and the San Francisco Bar Association, Mr. Tayac is practices before California State and Federal Courts, as well as the Supreme Court of California in San Francisco. The Law Office of Robert Tayac has a high quality of service displayed through comprehensive and passionate representation. We are confident you will be satisfied. We are not just here to do a good job  we are here to win. If you have been charged with a serious criminal offense in San Francisco, Alameda, Marin, San Mateo or Contra Costa County, having a skilled and successful drunk driving defense attorney on your side is crucial. 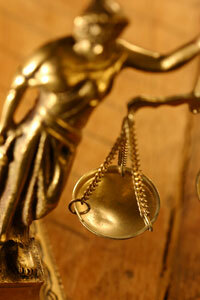 For a free consultation, contact the Law Office of Robert Tayac. There is no obligation to hire our office.